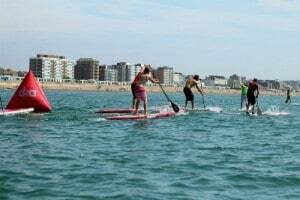 Learn Windsurfing in Brighton with this super 2 day Windsurfing course. Get your RYA Level 1 Windsurfing certification and learn the basic Windsurfing skills you need to get out there in open water! This Brighton and Hove Windsurfing Course is a perfect introduction to the exhilarating sport of Windsurfing, taught in the sheltered and beginner-friendly Hove Lagoon. Windsurfing is a wonderful sport that uses the power of wind to propel yourself and your board across the water, building on turning skills and control until you are proficient enough to eventually start getting some air! This Brighton course, run over two days, will teach you the basic but very necessary skills you need to earn your RYA Level 1 windsurfing qualification. This is an ideal beginner's course, but will also be useful to those with limited experience. All you need for this one is a desire to learn and a good attitude, because this is not the easiest of the water sports to pick up. As challenging as it is, it is equally rewarding, and that feeling of mastery when you get your first few good runs is pretty warm and fuzzy! The RYA Level 1 certificate shows that you are competent enough to hire equipment at RYA centres worldwide and get out there with supervision.The 2 day Brighton and Hove Windsurfing course covers many of the basic windsurfing techniques that you need to progress safely with the sport. You will have a full introduction to the board and rig and will simulate all the balancing and rig handling techniques while on dry land. You will also be learning how to control upwind & downwind windsurfing, safety & self rescue techniques. There will also be plenty of on-water practicing under the watchful eye of your instructor. By the end of the course you will be able to competently sail an area and be ready to move your skills on even further. Logbook and handbooks are included in the cost of the course and given upon completion of the R.Y.A. certificate. 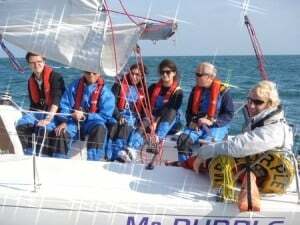 The RYA Level 1 Course is run most weeks at our centres all year round. Age requirements: Min age 16 in most locations. At Nottingham Location Min age is 16 and Max weight is 114kg / 18 stone (chest size 122cm / 48 inch). All participants must be confident in the water and able to swim 50m unaided. This is a 2 day course, exact timings vary between locations. Participants: The Learn Windsurfing Brighton - RYA Level 1 is for 1 participant. There will be a maximum of six windsurfers per instructor, group size varies dependent on location. Spectators are welcome at most centres, please check when booking. All specialized equipment is provided – e.g. wetsuits, buoyancy aids windsurf boards and rigs. Take a swim suit & towel and sun block if it is hot and warm clothes to change into if its not. Windsurfing courses can be weather dependent and in extreme circumstances the course may be affected. Please check with the centre prior to arrival.